I swear by facial mists and toners. Not only do they serve as a refreshing aromatheraputic mist, but, applied after a gentle cleanser, they restore the skin, seal the pores and prepare the epidermis to receive a layer of serum or moisturizer (depending upon your personal regimen). Right now I'm loving this DIY rose facial toner. Perfect for sensitive and aging skin, this rose restorative toner provides moisture, encourages cellular regeneration and detoxifies skin. In this recipe, rose petals and witch hazel take center stage! Rose petals have been used since ancient times (think the Egyptians, Romans and Greeks) in beauty preparations, due to the antibacterial properties of the petals. Rose petals are also high in vitamin C, are anti-inflammatory, stimulate blood flow and, as an added boost, their scent is known to be both an aphrodisiac and lessens the punch of anxiety and depression. Witch Hazel has long been accredited with reducing inflammation, as the tannins in witch hazel is known to constrict blood vessels, leading to a reduction in inflammation and swelling. A natural toner, witch hazel, not only detoxifies, but also locks in moisture to help improve the moisture of skin. Ready to give this DIY rose facial toner a go? The portion sizes for this recipe will be based on the size of your container, so if you don't know how big it is, you may want to fill it with water then pour into a measuring cup so you get the proper ratios. You'll want equal parts in ounces of witch hazel and rose petals. Submerge your petals in witch hazel and soak overnight. Strain the petals out of the liquid. For every ounce of rose petal infused witch hazel, add four drops of rose essential oil. 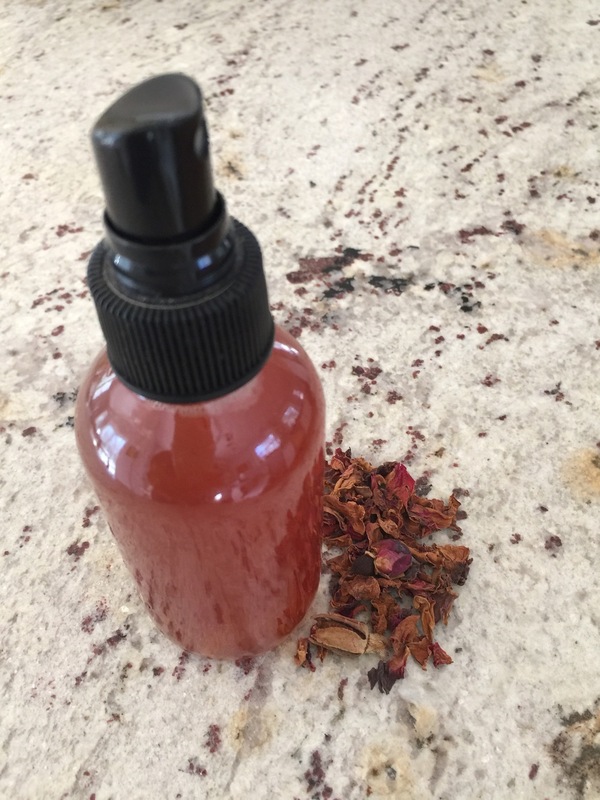 And there you have it your – DIY rose facial toner is done! Spritz onto your face, neck and chest in the morning and evening following your cleansing routine. Another great use for this is as a facial mist following a workout, trip to the sauna, or as a quick refresher after coming inside on a hot day. Older PostPickled Beets! This Recipe is Simple and Unfailingly Delicious!